It first started, I suppose, in 1967 in the lobby of The Palace, where it was Judy Garland’s opening night. My discovery of Garland dated from the 1950s when I saw The Wizard of Oz and A Star Is Born on television, and watched her very early films on The Late, Late, Late Show at all hours of the morning. But, my passion for Garland began in 1961 when I discovered her Carnegie Hall album, then her 1962 special, and the 1963 I Could Go On Singing. I religiously watched the 1963/1964 The Judy Garland Show each Sunday night. Since day one, she was always about the music. She was a great artist, an important contributor to the Great American Songbook, a person of importance in the history of 20th century American culture. Even her name, JUDY GARLAND, with its round-lettered J, U, D, G, R, and D, had an importance of its own. She was a part of History, with a capital H.
How my expectations were sullied on that July 1967 night! I found myself surrounded by people, then commonly referred to as “the cult,” whom I had nothing to do with. Idolaters more than music lovers, sycophants more than free thinkers, obsessed rather than cultivated, they were also predominantly gay, as was I. It was very much a clubhouse atmosphere, a kind of ghetto where it was safe to congregate at The Palace, which was something of a backroom to the great, big world, a kind of pre-Stonewall before the fact, just waiting to be punctured by the reality of death, injustice and AIDS. It oozed a them-against-us atmosphere wherein one was with them or against them. I suppose it had been like this for decades. Garland, in her insatiable need to be needed, had attracted such fans for decades, going back to the 1930s. By the time the 1950s came around, Garland’s concerts had become a Mecca for gays where they could devote their evening to worshipping their goddess, their all. They could forget their troubles and get happy. Judy’s powerful emotional outpouring when she sang touched them deeply, for many in a Garland crowd led impoverished emotional lives, and the jolt of her voice gave them the impression they were alive. She was the methadone of emotion. By the early 1990s, I had learned substantially more about Garland through reading, listening, watching, and collecting every Garland item I could get my hands on. I also began to produce CDs, and write liner notes, articles, discographies, and reviews. The thread uniting all these writings is that I do not view Garland as an entertainer who was put on earth to amuse me. She was a serious artist not to be belittled by those seeking pleasure through her. Garland did not entertain me; she troubled me by the depth of her interpretations. She made me shudder at each moment, for each moment was rich musically, lyrically, and emotionally. I came to understand that those who treated her as an entertainer, the world’s greatest to boot, viewed me as an enemy because I viewed Garland as more than a talent to amuse. I was too serious, an intellectual, an anti-fan. I did not worship but respected her. Nor did I worship those hagiographers of her who themselves demanded to be worshiped. This crazy world of fandom was anathema to me, and I do not stand conformity easily. So, in my writings and interviews, I was blunt in my criticism of any and all wizards of odds who spoke for the group, which was no more than a group of crazed fans in need of sublimation. I was also blunt in criticizing those who sought renown by creating communitarian groups via the internet which replicated the same sectarian atmosphere I saw in the summer of 1967. In all, over the years the hate has flowed freely. Camps have been created. Toe the line, or you’re banished. All this is no different from any totalitarian dictatorship where control is the goal and tyrannical worshiping is the result. Can you imagine? I was once accused of hacking a website, when I am totally incapable of such an act. 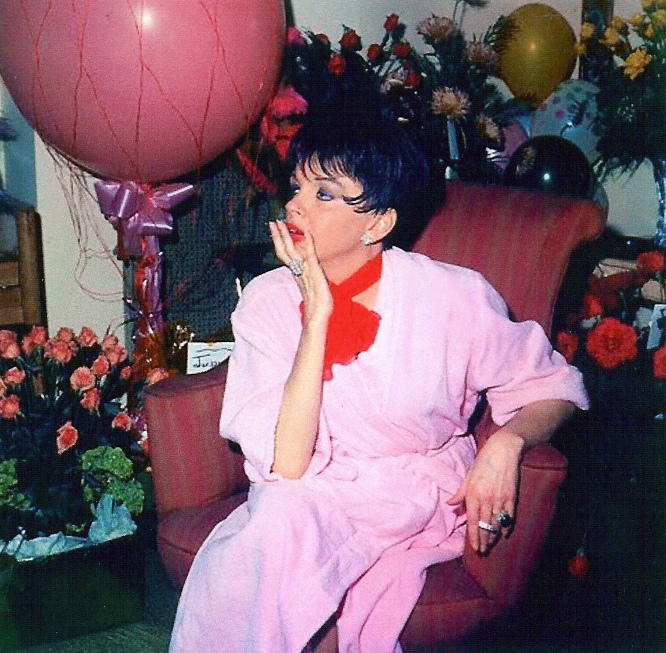 I have even been accused of hating Judy Garland because I wrote about her addiction to prescription medication. And the hate has now spread to others in the community, who will no longer give me the time of day. Garland’s expressed desire for “a kinder, gentler world” is not to be found in this sub-species of petty Garlandian leaders who demand devotion and servility from lock-stepping automaton-like followers, all of whom seem to have forgotten the joy Judy Garland brought into the world. How can people hate someone they don’t know? How could Judy Garland inspire such hateful people? The combative words and actions against people they’ve never met is a phenomenon that is fostered and fed by the anonymity of the internet. This subculture of Garland fandom has found a new podium to spread their special brand of negativity, all from the assumed safety behind a computer screen. These people say and do things they would doubtless never do in person. Cowards need cover. From the earliest online discussion lists to our current social media, this cultish subculture of Garland fandom has been a very high profile and vocal faction that is not above slandering others at every turn. Many in the Garland fan community think Garland and her image need to be protected. I say she needs to be protected from these fans, who have found no other reason for being other than to spend their days ruminating perceived heresies to the line they defend. They have chosen the camp of hatred, and have substituted Garland for getting a life, living it healthily, and opening it to the Ozian world that is just beyond the door. Needless to say, the Garland fan community counts a silent majority of intelligent, kind, generous, sensitive people. I have had the privilege of getting to know a good number of them over the decades. This other group, who by and large does not contribute to the online forums, is less vociferous than those who inundate the internet with their pronouncements and diktats. It is this group of good people whom I firmly believe is the heart of the fan base. As for me, I extend an olive branch to those who would accept it. Let us emulate Garland, who throughout her life defended progressive causes and civil rights, by reaching out to each other. Really, does Judy Garland need to be the reason for going to war? The Judy Garland Wars are as much comedy as drama. Coming Soon: The Judy Garland Wars!